Usually we wouldn’t give herbs like ginseng to someone with a cold because this type of herb can nourish everything in the body, and if there is a germ there, it can make it stronger. Children, however, often do not have the strength the push the bug out of their body, and it can just sit there and fester (or grow stronger and make the parents sick). This formula was originally used by the Imperial Medical Department of the Northern Song Dynasty and is composed primarily of herbs which drive the bug out of the body, dry up the mucus, and provide some relief from any aches. A small dose of ginseng is included to provide the weaker body with the energy needed to push the bug out. An added benefit is that it also improves the mood so Cranky McCrankypants can turn back into a sweet child. Fortunately, most doctors will not give antibiotics for ear infections, because most ear infections are not bacterial. But when you see your child in agony time and again, you want to do something, and that’s when you end up talking your doctor into prescribing an antibiotic. Antibiotics kill good and bad bacteria (see my blog on supplements to understand why we need probiotics living in our guts). If there is no bad bacteria to kill because there is not bacterial infection, then you are only killing part of your child’s digestive and immune systems. Xiao Chai Hu Tang may be the most widely prescribed herbal formula in Japan. It is a fascinating and complex formula written by “The Sage of Medicine”, himself, Zhang Zhong-Jing, of the Later Han Dynasty. This is not the place to go into detail about the profound magnificence of this elegant formula, maybe I’ll write a blog about that later, but for now we need to talk about ear infections. Unlike common colds, children aren’t prone to ear infections simply because their immune systems are weaker or because they are less selective with what they put in their mouths. Children get ear infections more easily than adults because the anatomy of their young ears is different. The children that do not get ear infections have qi flowing unobstructed from the ear. (If you don’t believe in qi or meridians, you can come up with your own explanation as to why this works). The most common source of this obstruction is too much dairy or sugar in the diet, but that too is for another post. The way to drain the ear is to initiate the proper descension of qi from the ear, which is what xiao chai hu tang does here. If caught at the right time and before antibiotics have been administered, one or two dose usually does the trick. It can still work even if antibiotics have been given, it just may not work as quickly. Since it doesn’t work immediately, the child is still in pain, so apply tea tree oil direcly to the external part of the ear. Start with a drop on a q-tip to see if the child’s skin is too sensitive. Then calm the child and let the herbs work. Imagine a forcefield around you or your child that keeps you from catching whatever the other kids have and that’s basically what this formula does. And it tastes good. Whether your child is just prone to catching colds or if there is something going around, taking this at the right time will almost always prevent an upper respiratory infection. I like this one largely because it is easy to get a child to take it when they are coughing in the middle of the night. It does taste good, but it also contains herbs that break up phlegm instead of just suppressing the cough, which is also nice if the sore throat is the result of post-nasal drip. These herbs are gentle and not too drying. There is a lot of sugar in this formula, which is unfortunate, but the sweetness helps to coat the throat to ease the cough and has enough mint and licorice in it to soothe a sore throat. It’s best to avoid the cold altogether, but if you miss your chance (or the kid eats sweets while already fighting the cold) then having some of this at home will help everyone in the house get some sleep. Birthday parties may be the only times when our children are allowed to make meals of cake and ice cream. Not only are they allowed, but it is a cultural norm. Of course, then we have Halloween, Easter, road trips, and any other time our kids are going to eat something that doesn’t agree with them. When we fill our stomachs with sweet, rich foods it gums up the works, which can result in constipation or diarrhea as the body forces the gunk out. The constipation brings me to a different formula, so I won’t digress, but when it is diarrhea or mild constipation, Culing Wan fixes the problem. It used to be sold in the US as Curing Wan (wan means pill), and you can occasionally still find it labeled that way, but herbal remedies can’t claim to “cure” anything, so they remarketed it as Culing Wan, which may be easier to pronounce anyway. Culing wan is similar to huo xiang zheng qi tang, which may not make any difference to you, but whereas hu xiang zheng qi tang is excellent for food poisoning, Culing wan is excellent for dietary indiscretions. 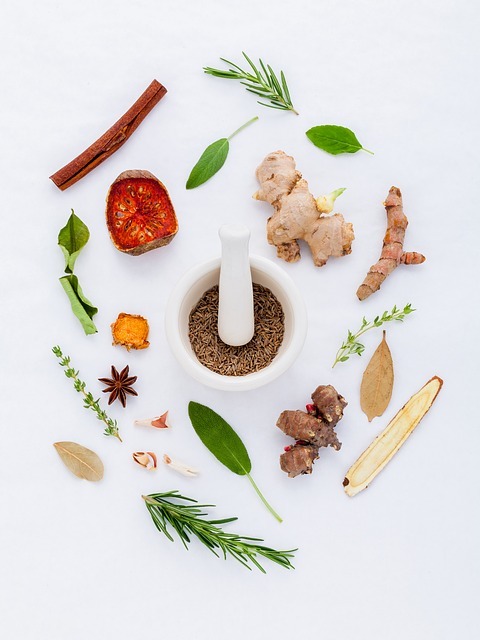 Two of the primary herbs are the same in both formulas and function to literally penetrate the turbid gunk in the system and begin to break it down from within. Just drink plenty of warm water to either replenish what is lost with diarrhea, or lubricate the system to ease passage when mildly constipated.